If, like me, you’ve attended lots of courses on creative writing and read stacks of self-help books on the subject, you’ll be well used to the phrase ‘finding your writer’s voice’. It’s that one thing every writer simply MUST do. But what’s never clear, when you’re new to writing, is exactly how you do it. A writer’s voice seems something elusive at best, ethereal at worst. It’s enough to stop the faint-hearted at the first hurdle. I have to admit, it’s taken me a long time to find a comfortable writer’s voice. I set off on this writing trek many years ago, via a creative writing course. And then another. And another. They were wonderful and pretty addictive. They were the ideal place to test out ideas with other people just starting out on their own writing journey too (sorry for using the ‘j’ word there). Looking back at some of the early pieces I wrote for those courses, I realise that I made finding my writing voice harder than necessary. Instead of simply writing freely, and despite the advice from my excellent tutors, I was often trying to copy a formula. At one stage, I was quite attracted to writing short stories for women’s magazines. I’d had a couple of poems accepted by one of the popular publications, and the prospect of being paid to write short fiction was very appealing. Sadly, my attempts at writing uplifting stories were pretty dire. I did send off a couple to the magazine that had accepted my poems, and to some other well-known publications too. But while their replies were politely encouraging – “enjoyable but not quite what we’re looking for” – I didn’t have the know-how to work at improving the stories, and so I soon gave up. Reading those attempts after many years have passed, I can see plenty of problems with them. An obvious one was that I simply wasn’t writing as ‘me’. I was trying to use a manufactured writing voice, and the stories suffered as a result. Forcing a voice just doesn’t work. So how do you find that elusive voice without forcing it? Well, another of the reasons those stories were rejected was because I hadn’t done my research. I’d read a few stories in women’s magazines but I hadn’t read anywhere near enough. It was more than a bit presumptuous to think I could write an acceptable story without immersing myself in the form beforehand. I thought I knew the formula so I could just go ahead and write. Very wrong. I didn’t have the dedication to read enough short stories to improve my ability to write them. That says to me now that I was barking up the wrong tree all along. I was looking for my writer’s voice in the wrong place. And perhaps I’d have found one, but it wouldn’t have been mine. When I gave up trying to write those short stories, I discovered I quite enjoyed writing for children. As a teacher and parent, I was reading lots and lots of children’s books anyway, so when I stopped to think about it I already knew the kind of writing I wanted to emulate. Once I started concentrating on children’s stories, my writing voice began to form naturally. I started to write stories about children too, and in those stories my central character was a little neglected boy called Tomos. I was much more comfortable writing about him than trying to write uplifting stories for magazines. I had found my topic and, as with my children’s books, the voice came naturally. Finally I understood what it meant to ‘find your writer’s voice’. Weirdly, though, I couldn’t keep that voice. Very quickly I realised Tomos’s story would have more impact in his own words – and he was a frightened five-year-old who spoke in short sentences and used very simple terms. The moment I’d found my comfortable writer’s voice, I had to get rid of it again. I re-wrote my stories about Tomos and changed them from third to first person – I didn’t mind; I felt I had to keep writing in Tomos’s voice. The stories turned into a novel, and happily I’ll be having my pre-publication book launch for ‘Not Thomas’ this month. I’m planning my next novel now, with the help of some lovely notebooks. Again it has a child as the central character – no surprises there – but this time that child is quite a bit older than five. Just like ‘Not Thomas’, it’ll be written in the first person. So will I be using my own writer’s voice? I guess I’ll just have to start tapping away on the laptop and see. But it’s just occurred to me that maybe writing in the voice of a child is my writer’s voice. Are you searching for your writer’s voice, or have you found it? What tips could you give a new writer to help them find theirs? Thanks for reading – I’m working on finding my ‘blogging voice’ at the moment! 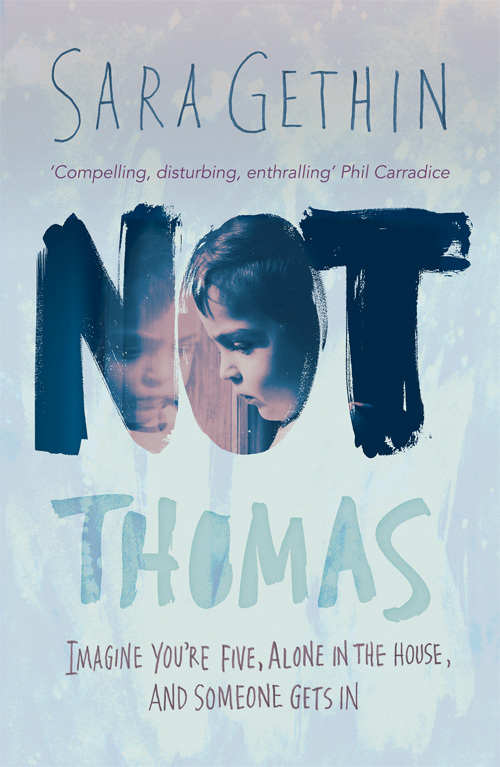 Sara’s debut novel ‘Not Thomas’ is published by Honno Press in paperback and on Kindle and is available to pre-order now on Amazon. Hello dear Sara! It’s fascinating to read about your evolution as a writer and about how you found your writer’s voice — how you found what worked for you in terms of writing children’s books and in 1st person, etc. Despite writing my memoir, I’m still figuring out my true voice. I know that sounds pretty out there, but it’s true. I’d like to take some classes and have an amazing editor give me feedback on my work. I love those gorgeous notebooks, by the way! That’s great you’re working on the next novel. p.s. Please excuse the typos – I have people distracting me as usual. Thanks for your comments, Dyane. Simon, my husband, will be taking photos of the launch – if we remember! And I’m sure I’ll be blogging about it at some point too. Excellent. Thank you. Always good to read another writer happy to share her ‘insecurities.’ Even though I’ve been told my ‘voice’ comes across, I still find myself wondering what that actually means! Perhaps the best thing – the trick if you like – is to be honest. Write from our gut & heart. I find younger characters tend to be less secretive about who they are. Their feelings & emotions are ingenuous which renders them more truthful. I found 14-year-old Cadi, in Ghostbird, the easiest of my three main characters to write. You ask an interesting question, Sara. I always thought my writing voice was my own because when the words came to mind, I could hear my own voice. Sounds weird, but I’m sure you know what I mean. Having written a collection of short stories, my editor said my writing voice was at its best when writing in first person, yet my readers have said they loved my third person stories. Confusing, but maybe like some people who can write with both their right and left hands, writers can also have more than one writing voice? Thanks for your comments, Hugh. I hope we can have more than one voice, or else I’m going to be a five-year-old boy forever! Good luck with the book launch, Sara. I’m off up to London for The Bloggers Bash today, so won’t be in Wales this weekend. Thank for the invite, though. Ah of course, that’s this weekend too. Christoph is going to that as well, I think. I hope it goes well. Have a great time and enjoy!